The AANP and INM would like to acknowledge Amy Rothenberg, ND, for her contributions to the content of this FAQ. Multiple factors contribute to your health, including: diet, lifestyle, genetics, psycho-emotional make up, spirituality, socioeconomic position, environmental issues, and more. While most primary care providers are trained to treat the body, few also address matters of the mind and spirit, elements that are equally important. Licensed naturopathic doctors are trained to uncover, evaluate, and address relevant obstacles to healing. They take extra time with patients and provide highly individualized care. Treating the whole person involves giving each person tailored and personalized therapies specific to their genetics, nutrition status, lifestyle, and capacity for implementing suggestions, not just a set of instructions to follow. In order to assess, educate, and inform patients adequately, NDs often spend one hour or more with patients in an initial appointment, and 30+ minutes in subsequent appointments, compared to an average 20 minute appointment with a conventionally trained physician. 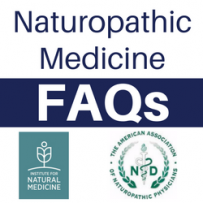 ← What Advanced Training Do Naturopathic Doctors Have in Behavioral Medicine?